It’s finally time to take a breather from work, school and the grind of daily life and enjoy the sunshine. Kick back by the pool, pull out the barbecue grill, throw on your swimsuit and laze around the park in your flip-flops. We insist. But before you check out completely, here’s a list of summer must-haves to help you squeeze just a little more fun out of the season. Believed to be a cross between a lemon and a mandarin orange, the Meyer lemon is a Wine Country staple. Sweeter and more aromatic than a traditional lemon, the Meyer is perfect for desserts, cocktails and of course, lemonade. 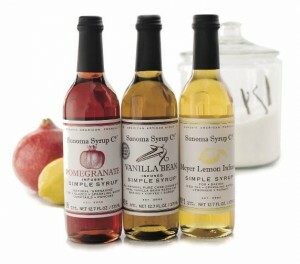 Sonoma Syrup Co. blends locally grown botanicals with simple syrup (boiled sugar and water) as a mixer for beverages, to pour on ice cream and blend into marinades. 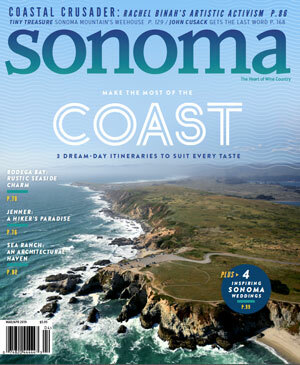 Our favorite summer idea? A cold Meyer lemon syrup granita straight from the freezer. Sounding good enough to eat (but not a good idea to do so), Three Sisters Apothecary bar soaps are made in small batches in Sebastopol using traditional soap-making oils, butters and botanicals. 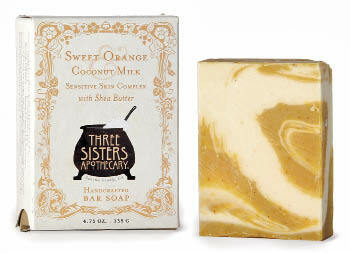 Featured in recent Hollywood award-show gift baskets, these fortifying artisan soaps were grabbed up by celebs. We’re especially fond of the refreshing orange and coconut blend that’s light and moisturizing to summer skin, and the Gravenstein apple and clove bar. Consider dipping into the rainy day fund for these adorably summery sandals. With all kinds of flower power, plenty of padding for your tootsies, a comfortable platform heel and eye-catching stitching, you’ll be the belle of any summer ball. Wine grapes aren’t just for glasses. Ah Shayh uses grapeseed oil harvested from local vineyards (long valued by Greeks and Egyptians for its healing properties) in its rich and creamy shea butter moisturizing balm. The tiny Sonoma County company partners with a community collective in Northern Ghana to import blocks of raw, unrefined shea nut butter, mixing it with local ingredients for rich and natural summer skin care. The secret to great grilled food? The marinade, baby. Made with locally grown chiles and fruit, Forestville’s Kozlowski family kicks up the flavor with sweet blackberries, tart orange and smoky chipotle peppers in a sauce that makes salmon and chicken sing. While the grill is heating up, swirl some of the sauce through cream cheese for a sneak-preview appetizer. There’s a reason that Ball Mason jars have been around for 100 years: They’re multitaskers. Sure, you’ll want a few dozen for preserving late-summer’s harvest (pickles, jams, tomato sauce and more), but the limited-edition spring green versions of these pint jars are just as useful for serving cold lemonade and iced sweet tea, displaying a bouquet of fresh daisies, and holding forks, knives and napkins at a summer barbecue. 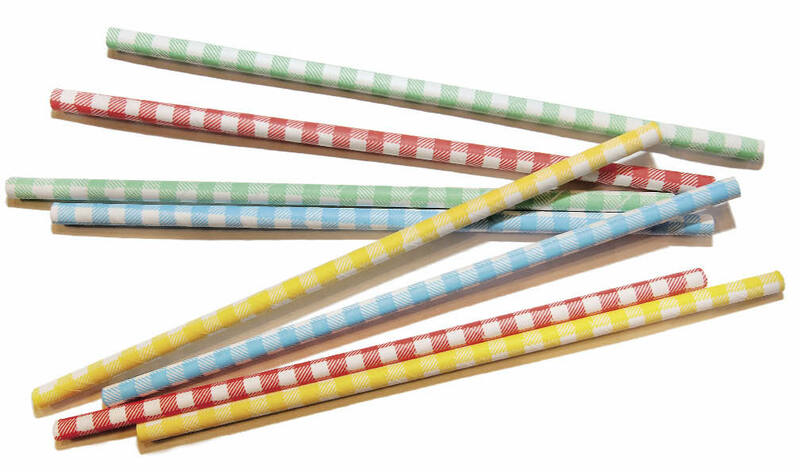 Each day, the U.S. uses an estimated 600 million disposable plastic straws. That’s more than 2 billion straws a year, none of which can be recycled. So hipster bartenders and forward-thinking restaurants are turning to paper straws, the sippers that were used at the soda fountain back in the day. Earth-friendly, BPA-free and available in a variety of colors and designs, paper straws are all the rage. Just keep in mind that they’re, well, paper, so they’ll turn into limp noodles if you let them sit in liquid too long. You know a wine is picnic- and barbecue-friendly when it comes in a milk bottle. Healdsburg’s Portalupi Wine Co. follows an old Italian tradition of filling glass milk bottles with wine for customers to take home, consume, and return the bottle to be refilled. Portalupi bottles its summer white (with flavors of citrus and sandalwood-like spice) in this clever packaging, and it’s perfect for outdoor gatherings — and reusable. You’ll be feeling hot, hot, hot — in a delicious way, of course — after a few splashes of Mateo Granados’ Yucatan-inspired hot sauce. 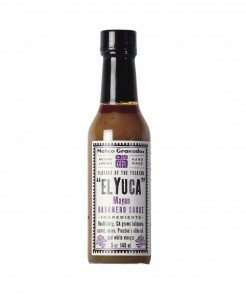 Using his own-grown Sonoma County chiles, he personally bottles all of his small-batch sauces. Based on his mother’s recipe, this classic Mayan sauce is made with spicy habañero peppers and carrots, local olive oil and vinegar. Dash a few drops on ceviche, eggs and grilled meat to kick up the flavors to 11. Badminton is the new Frisbee. 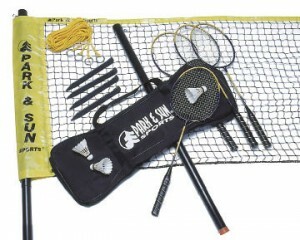 Taking its cue from popular outdoor games of the past, this set allows you to snap your shuttlecock and “kill” your opponents just about anywhere, with a portable net, racquets and birdies. For even more fun, grab a few LED shuttlecocks for firefly-like volleys during night games. Anyone who’s traveled to the Amalfi coast of Italy has probably spent a warm afternoon sipping limoncello, a traditional lemon-flavored liqueur, at an outdoor cafe. They’ve also probably purchased a bottle of electric-yellow, mass-produced “limoncello” in the U.S., and with disappointing results. Recapture the sunny taste of the Cinque Terre with Hello Cello’s Limoncello di Sonoma, made with locally grown lemons, agave sugar, 170-proof grappa (made from local grapes) and plenty of artisan care. Something’s fishy about these DIY ice pop molds. 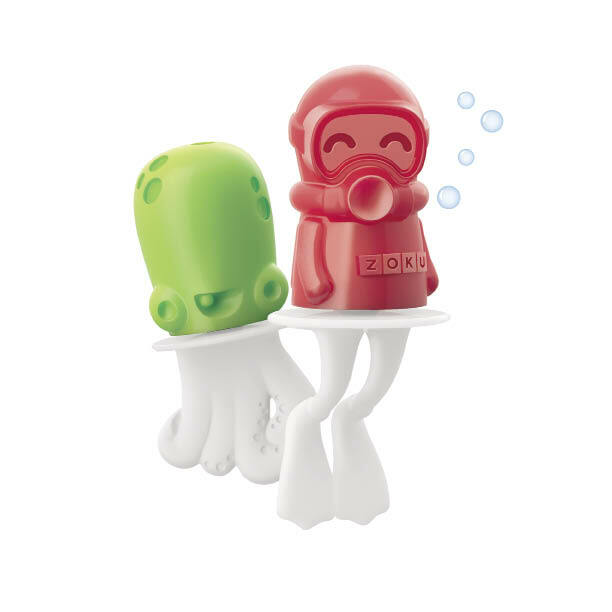 With fun shapes including shark, clownfish, octopus, whale and puffer fish, kids (and grown-ups) will fall for them hook, line and sinker. Fill the molds with your own recipe, from pink lemonade to orange juice to adult-friendly, booze-infused liquid, to make your sea creatures unique. After a few licks, the “skeletons” appear underneath, making these summer treats extra fun. 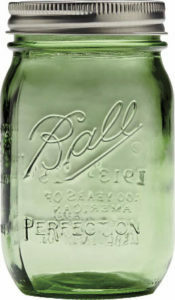 The molds are free of BPA and phthalate. 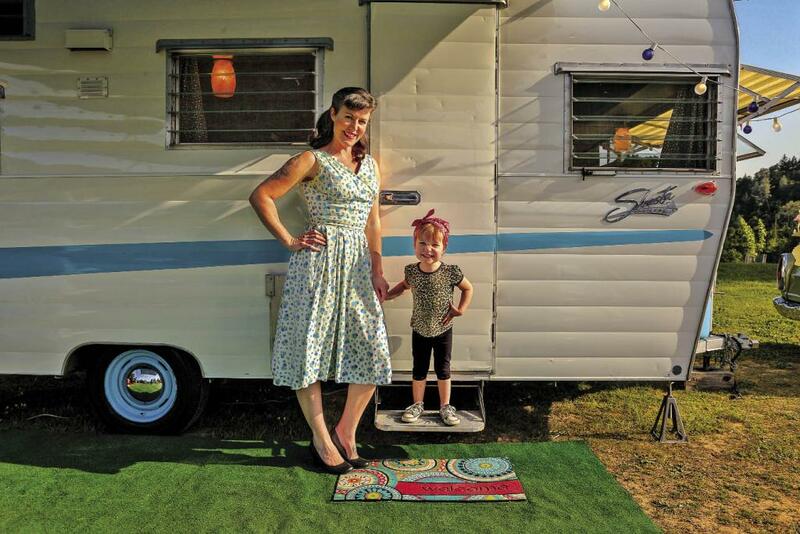 Forget about looking around the campground for a stick. 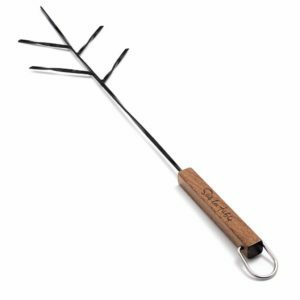 S’mores-making gets a whole lot easier with this branched, carbon-steel skewer that can handle 10 marshmallows at a time. There’s no burning of fingers, no going up in flames if a perfectly toasted marshmallow drops into the embers. It’s also great for hot dogs and playing keep-away with your little brother’s favorite hat. So over the old tent-and-bedroll bit? Consider these blissful options.